On June 24, 2018, about 0920 central daylight time, an experimental amateur-built RV-7A, N19MM, was destroyed when it impacted trees and power lines during a forced landing in Alexander City, Alabama. The airline transport pilot and passenger were not injured. Visual meteorological conditions prevailed, and no flight plan was filed for the flight that originated from Atlanta Regional Airport-Falcon Field (FFC), Atlanta, Georgia, destined for Thomas C Russell Field (ALX), Alexander City, Alabama. The personal flight was conducted under the provisions of Title 14 Code of Federal Regulations Part 91. According to the pilot, the accident flight was the first flight since he had taken the airplane to have a condition inspection performed. The mechanic performing the condition inspection advised the pilot that he needed his hangar space and asked the pilot to remove his airplane. The pilot assumed that the condition inspection was completed. During the preflight inspection, the pilot examined the engine, put the engine cowling back on, added 1 qt. of oil, and secured the oil cap. He flew for about 45 minutes and everything "was working correctly." 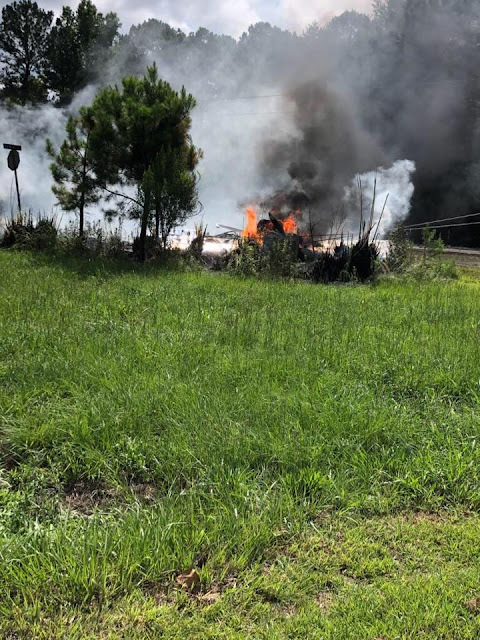 The airplane was at 2,000 ft above ground level when the pilot reduced the throttle and the engine "popped" twice and then experienced a total loss of engine power. He noted the fuel gauges indicated 21 gallons of fuel remaining, switched the fuel selector valve position and turned towards ALX. At that time, the airplane was about 4 miles from runway 18. The pilot did not think the airplane would glide to the runway, so he turned to the right and tried to land in a field. During the approach, the airplane contacted tree tops and power lines that the pilot did not see. The airplane then impacted terrain and the occupants egressed through the tip-up canopy. 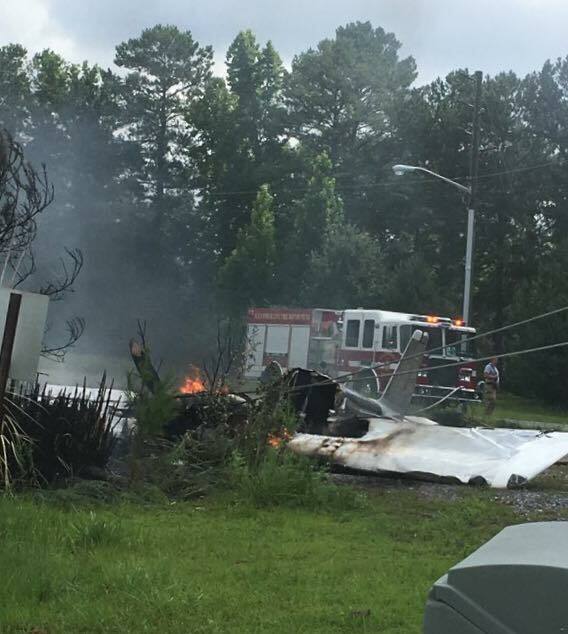 The pilot further stated that the power lines started a fire, which then consumed the airplane. Additionally, the maintenance logbooks were destroyed in the fire. After the accident, the pilot learned that the condition inspection was not completed by the mechanic, and nor had the mechanic endorsed the airplane's logbooks. Examination of the wreckage by a Federal Aviation Administration (FAA) inspector revealed that the fire consumed a majority of the center of the airplane. The propeller blades exhibited thermal damage and there was no evidence of impact damage. 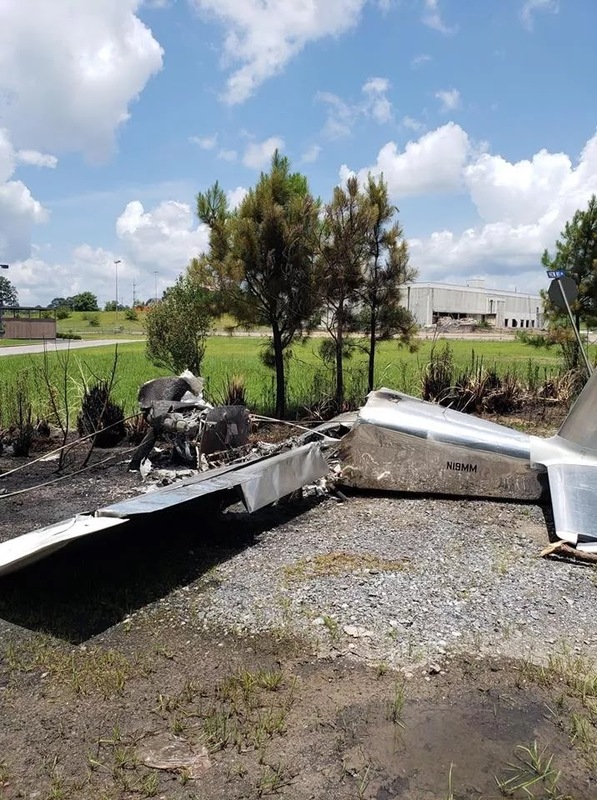 The electrical cable that the airplane impacted was draped over the spinner and there were no signs that the propeller was rotating upon impact with the wires or trees. A small quantity of unburned fuel was noted the ground. Examination of the wreckage by a National Transportation Safety Board investigator revealed that the engine was intact but fire damaged. The accessory case was melted, and all accessories were missing. The top spark plugs were removed for examination. The propeller was still attached to the engine and would not rotate by hand. A lighted borescope was used to examine the cylinders, pistons and valves. No anomalies were noted. The two-seat, single-engine, low-wing airplane was built in 2017, and equipped with a Lycoming YIO-360-series engine. The most recent condition inspection could not be verified since the logbooks were destroyed in the fire. The pilot reported that the airframe and engine had 76 hours of total time. In an interview with the mechanic, he stated that he had not completed the condition inspection and still had several questions that needed to be answered before he could conclude the inspection. He further stated that the engine inspection was complete, but he did not have a chance to look at the fuel filter or the fuel system. 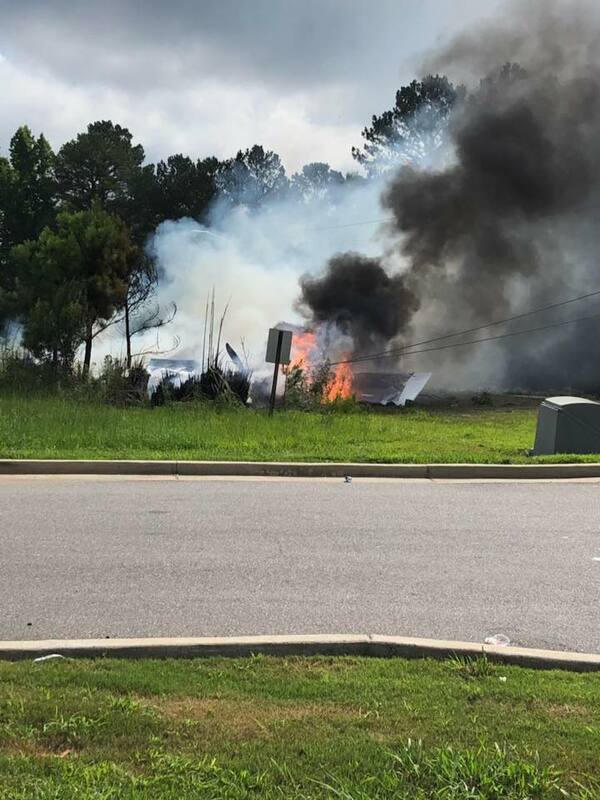 The pilot held an airline transport pilot certificate and a flight instructor certificate, each with ratings for airplane single-engine land and multi-engine land. His most-recent FAA first class medical certificate was issued on April 18, 2018. He reported 13,465 total hours of flight experience of which 75 hours were in the RV-7A. At 0815, the weather recorded at ALX included broken clouds at 1,100 ft, winds from 240° at 3 knots. The temperature was 26°C, the dew point was 26°C and the altimeter setting was 30.06 inches of mercury.